Today at Man O’ War. Hole #6. 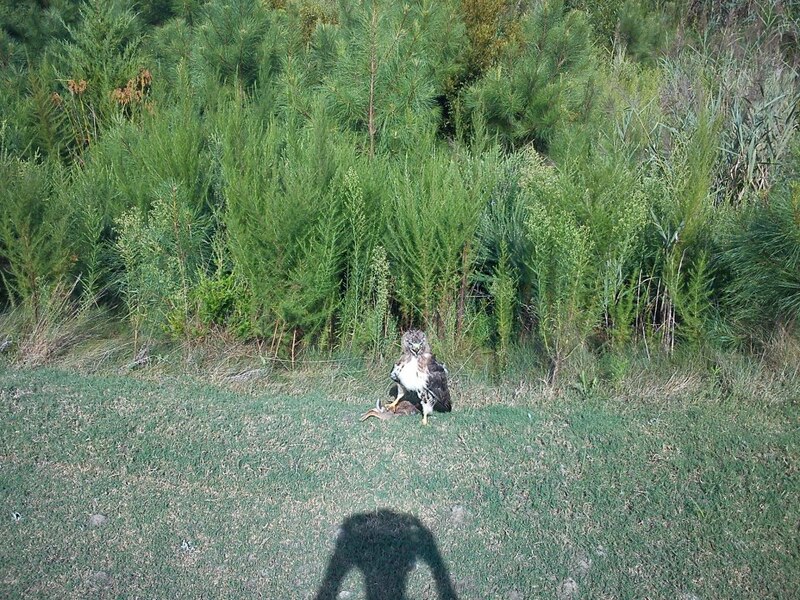 This falcon followed Jake the snake, Ben Tilley, and I from 5 green to 6 tee box and proceeded to watch our drives. There is dinner in its claws, a rabbit.